Much has been written about coconut oil and it’s incredible health properties of late (including in my book The In-Sync Diet). One of it’s best features is that it’s good at high temperatures and so is ideal for frying and baking unlike most oils, including olive oil, that go rancid at high temperatures. But what’s the difference between coconut oil and coconut butter? I must confess I didn’t have a clue, so thank you Shabir Daya (pharmacist at Victoria Health) for explaining all. It turns out there are 2 very compelling reasons to use coconut butter. One is that the butter, unlike the oil, doesn’t make whatever you’re cooking taste of coconuts. Now I love the taste of coconuts but there are many who hate it. One of them is my husband so if I bake my sweet potato chips in the oil for example, he refuses to eat them. The other reason is that it contains fibre and is much more nutritious than the oil (although the oil is VERY beneficial too). I can’t wait to try the butter in a smoothie. Yum! Most of us have heard about the benefits of Coconut Oil for cooking, for topical use and in skin and hair care products. However, there is another coconut product that is rapidly gaining in popularity called Coconut Butter and for a good reason. Coconut Butter is different from Coconut Oil and has some nutritional and culinary benefits when compared to Coconut Oil. 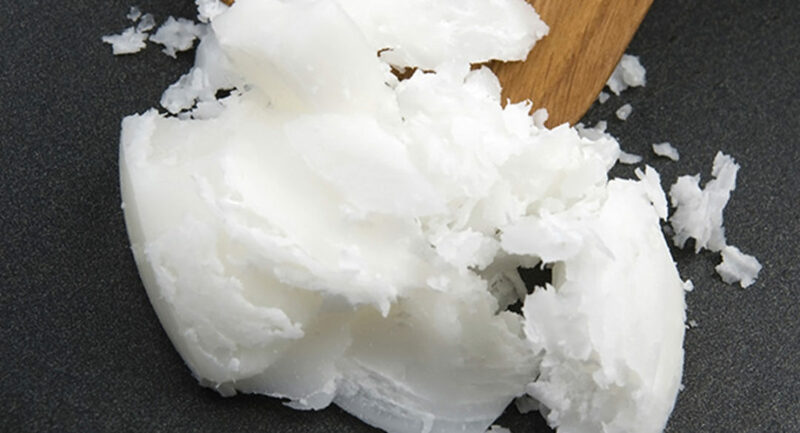 Coconut Oil is pure fat and despite its name, it is usually solid and opaque at room temperature. This is because Coconut Oil is made up of more than 90% saturated fats. Coconut Butter on the other hand is made up from the meat or flesh of the coconut whereas Coconut Oil is not. 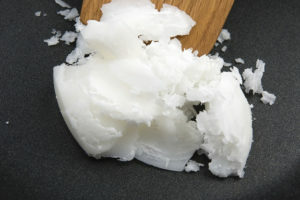 In Coconut Oil, the oil is completely separated from the meat. Coconut Butter is essentially pureed Coconut meat and has a thick, creamy, smooth texture containing approximately 60% oil. Because Coconut Butter contains the whole flesh of the coconut, it is nutritionally far superior to Coconut Oil. Coconut Butter is a good source of protein and of course fibre, almost three grams of fibre per tablespoon making it a delicious way to supplement fibre in your diet. The flesh of the coconut is also rich in vitamins and minerals such as potassium, magnesium and iron. Both Coconut Oil and Coconut Butter contain fats called MCT’s (medium chain triglycerides) compared to the longer chain triglycerides found in olive oil and in fish oils. These MCT’s are unique in that they are absorbed by the digestive system easily and used for energy production as opposed to other oils which require specialised enzymes and transport mechanisms to take them from the gut into the bloodstream. Because Coconut Butter has less oil content, there is no risk of gaining weight when using it on a daily basis because the MCT’s act more like carbohydrates and once used for energy are not stored as fats within the body. The greatest advantage of using Coconut Butter is for its culinary benefits. Coconut Butter can be used as a healthy spread instead of butter or margarine and has a smoother creamier texture. It can be used in smoothies to create a wonderful creamy texture and of course its fibre and nutritional content further enhance the benefits of any fruits used in the smoothie. But the greatest benefit of using Coconut Butter is its benefits when baking, frying or sautéing with it. Unlike olive oil which turns rancid when heated above 120 degrees Fahrenheit, Coconut Butter’s fat content remains intact even at temperatures in excess of 325 degrees Fahrenheit making it really useful for all types of cooking including frying and baking. The oils within Coconut Butter are not converted into health damaging fats that are associated with high temperature cooking with vegetable oils. I tend to recommend Organic Coconut Butter for all its benefits mentioned above and it does not add any fragrant coconut flavour to food making it versatile since you do not wish to, for example, cook roast potatoes smelling of coconuts.